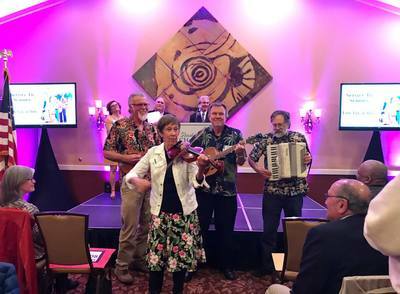 Los Gu'achis is a Petaluma, California-based quintet that plays instrumental music of the Southwest, Early California, Mexico and other places. 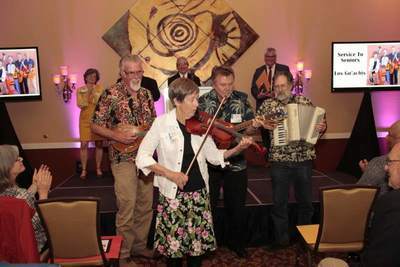 The band has played at festivals, theaters, restaurants, art galleries, public libraries, private parties and more. Members of the group are Barbara Arhon (violin), Steve Della Maggiora (accordion and lead guitar), Chris Samson (rhythm guitar), Stephen Tamborski (mandolin and bass) and Tracy Grisman (bass). 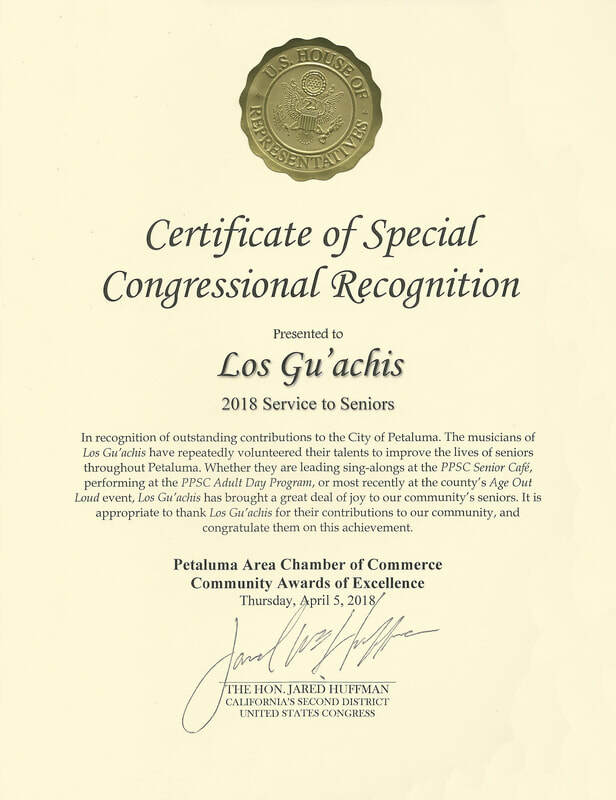 Los Gu'achis received the award for Service to Seniors at the annual Petaluma Community Awards of Excellence on April 5, 2018. The band was recognized for volunteering to play at local senior centers for the past several years, “improving the lives of seniors (and) bringing them a great deal of joy” (quoted from Certificate of Special Congressional Recognition). 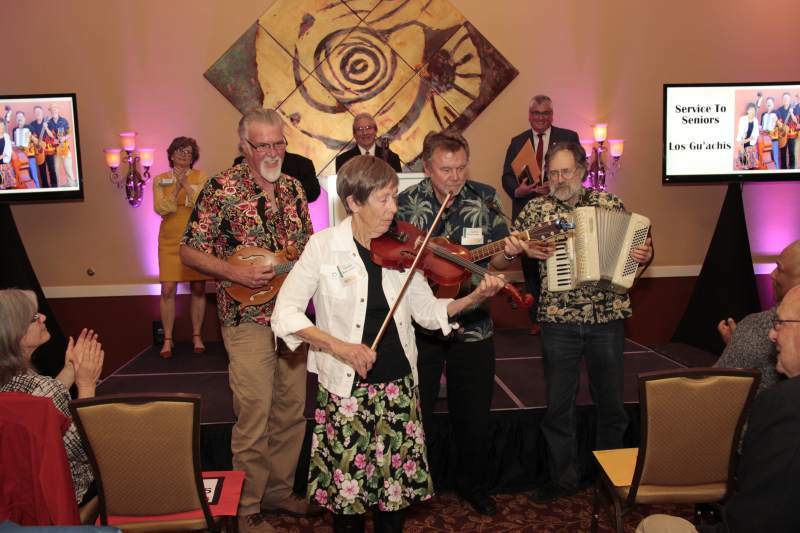 Read story here. Watch video here.